August and Catherine Bonneau, who were originally from Bordeaux, bought 70 acres of land south of the town of Sonoma in 1921. The Bonneaus farmed the land, ran a dairy, and operated a small country store and delicatessan at the corner of Bonneau Rd and Arnold Dr. (Highway 121). In 1988, their daughter, Yvonne, planted 30 acres of Chardonnay on the property, enlisted the Sangiacomos to farm the vineyard, and began supplying well-known wineries in the region. 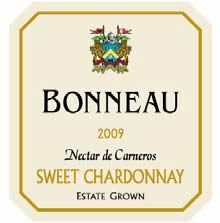 In 2002, Yvonne’s son, John Bambury, introduced Bonneau Wines with the release of a 2002 Estate Los Carneros Chardonnay. Since then the winery has expanded into other red wines sourced from vineyards in Sonoma, Napa and Amador counties. The Pinot Noir program began in 2008 with grapes sourced from a Sangiacomo vineyard off Bonneau Road nearby. John is the Director of Winemaking, working with consultant John Tracy at the old Kosta Browne space at Deerfield Ranch Winery in Kenwood. 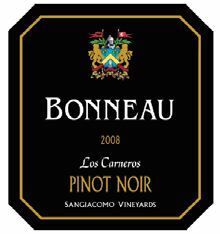 Bonneau wines are available for tasting at Bonneau's corner (Bonneau Rd and Highway 121), a tasting room and family operated delicatessen (open 10:00 to 6:00 daily) and at Cellars of Sonoma in Santa Rosa. The wines are also sold on the website as well. All wines are reasonably priced considering the high quality.